We believe in continual learning and staying on top of the key trends to be able to provide the best value for our clients – and have fun while we are at it! 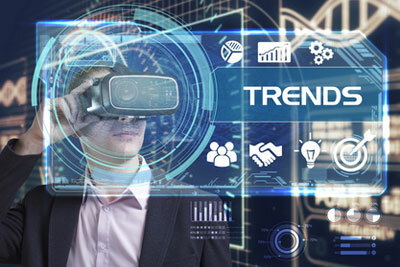 Thus, we joined several groups that give us access to the latest thinking and innovations in our field, in our markets and with related technologies. I’ve joined the Renaissance Executive Forums Inland Empire, a business peer advisory board membership organization. 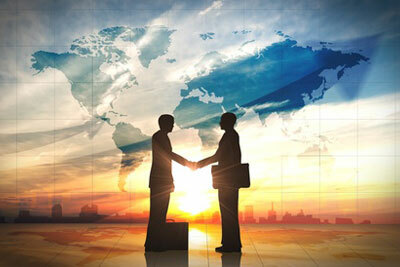 Our group includes manufacturing, distribution and related trusted advisor CEOs. Since I’m an expert in partnering with manufacturers and distributors to achieve scalable growth and bottom line business results, I believe it is important to continually look for ways to ensure scalable growth for LMA Consulting as well, and this peer group achieves this objective. 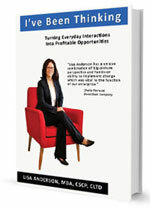 I also gain insights on the latest trends impacting our clients and ideas to increase the value we provide to clients. 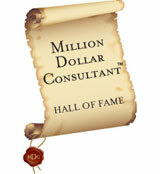 I joined Alan Weiss’ Growth Cycle of “the best of the best” consultants. My group has a Pacific Rim global focus with members in the U.S., Australia, Japan etc. accompanied with travels across the globe from Toyko to Sicily to Fiji. 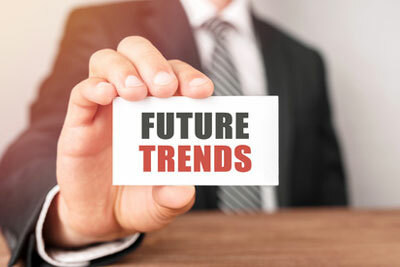 We discuss growth strategies for our consulting businesses, how we can dramatically increase value for our clients, the impacts of the latest global business trends and more. We also serve as a peer advisory board, accountability partners and a mastermind think tank for each other. I’m the Group Leader for the Ontario group of ProVisors in southern California. ProVisors is a group of over 4,000 top notch trusted advisors throughout southern California, northern California, Boston and Chicago. We collaborate to provide complete solutions to meet client objectives inclusive of accounting, banking, legal, insurance, financial services, real estate, human resources, marketing and consulting. The website has great search capabilities for these types of professionals. I am the Innovation Awards Chair for the Manufacturers’ Council of the Inland Empire (MCIE) Manufacturers Summit. The MCIE is the preeminent group of manufacturers in the Inland Empire. The mission is to support and provide education on manufacturing topics and to provide a strong, unified voice when communicating with regional, state and national entities on issues impacting the region. We recognize top innovators at the Manufacturing Summit. My business partner, Linda Popky, and I have taken over the day-to-day management of the Society for the Advancement of Consulting (SAC), a leading association of global consulting professionals. SAC is an international association of consulting professionals who subscribe to an industry code of ethics and have provided evidence of significant consulting results among their clients. This role provides the opportunity to stay on top of the leading trends of the consulting profession so that I can provide continually increasing value to clients. It also puts us in the center of a global network of top notch consultants. I’ve joined the Board of IEEP, the Inland Empire region’s economic development organization, to have a greater impact on local business and community success. I am passionate that the Inland Empire, comprised of San Bernardino and Riverside counties and larger than 25 of the 50 states, is “the place to be” for manufacturers and distributers. There is vast opportunity, and so I’m participating on Business Council and Logistics Council to help turn this into a reality. Since I am involved with both the MCIE and the IEEP, I was asked to join the IEGO committee discussions on how to create a more prosperous future for Inland Southern California with two key industries, supply chain/ logistics and advanced manufacturing. We are brainstorming ways to involve all the key players in the Inland Empire inclusive of business, government (across counties), colleges and universities and more to support the growth and success of these two key fields. 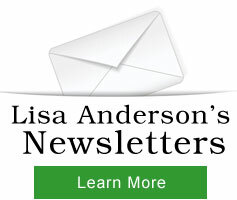 When I started LMA Consulting, I immediately joined Alan Weiss’ mentor community. Just as I serve as a coach and mentor for my clients, I knew it was important for my growth and value to have a coach and mentor. Since Alan has written more books on consulting than anyone in the field and is well-known for enabling dramatic growth and success for boutique consulting firms, it was an ideal fit. Fast-forward 9 years, and I was honored to be inducted into Alan Weiss’ Million Dollar Consulting Hall of Fame for serving as an exemplar, contributing intellectual capital and for growth and profit achievement. I continue to actively engage with this community to gain insights and to participate with the leading consultants in the profession globally. I have a partnership with Kash Gokli, Professor of Manufacturing Practice at Harvey Mudd College. We facilitate executive roundtable discussions with local executives on key topics for business growth & profitability. Our goal is to create a community of CEOs and senior leaders where we get together to learn, discuss and debate timely topics for business success. If you are a CEO/ President of a company, click here to learn more about our next roundtable. I’m the President of the APICS (Association of Operations Management) Inland Empire Chapter in Southern California. We are a community of top notch supply chain and operations professionals and students in the Inland Empire area of California (Ontario, Riverside, Temecula, San Bernardino, etc.). We provide value for our members in the form of networking, educational offerings, certification opportunities (including the sought-after CPIM and CSCP certifications), career development, programs etc. To learn more, visit our website. Also please join us on Linked In Group and Facebook. I am honored to serve as a mentor for the Drucker Center for Supply Chain and Logistics’ Women in Supply Chain. I learn just as much as I give by being involved with this group of top-notch women in supply chain. I serve on the Board of Advisors for the University of LaVerne’s School of Business & Public Management. As a part of that process, we provide advice to the business school and take a leadership role in the CEO Summit. I have been a member of the Claremont Chamber of Commerce almost since the inception of my business. I value interaction and participation with the local community and economy, and the Claremont Chamber is an active and engaged group of local business owners, educators and civic leaders. If you are interested in finding excellent local businesses, check out their website. I have been a member of the National Speakers Association almost since the inception of my business. I was thrilled to gain the professional speaker designation early on since I had significant speaking experience going into my consulting profession. Since communications are the 80/20 of success, and I value interaction and participation with the speaking community, I am proud to be a long-term NSA professional member. I joined the Norco College Logistics Advisory committee to help bring practical logistics issues into the curriculum and to provide additional value to the students. Norco College has the first community college based Logistics Management Program in the nation, and it has the unique differentiation of being the only community college approved by the International Qualifications Network (IQN) as a registered training center.